Formula One team Racing Point is shortly expected to announce the first-ever sponsorship deal between a stakeholder in the global motorsport series and a gambling company. According to sources who spoke to RaceFans.net, the team — previously known as Force India — has signed a branding agreement with Africa’s biggest sports betting company, Kenya-based Sportpesa. 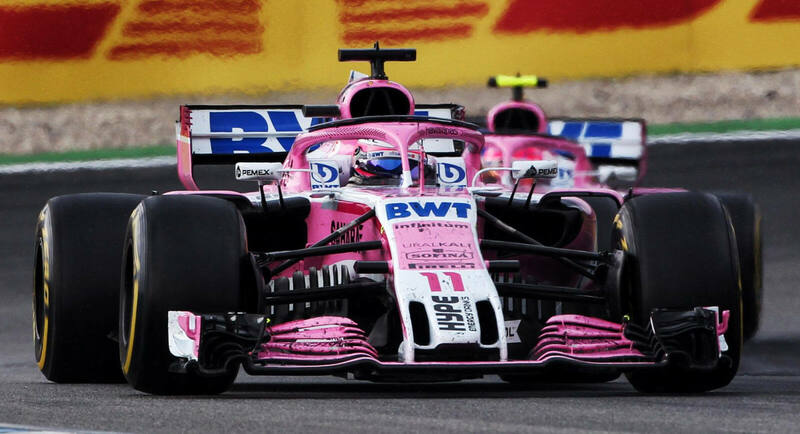 Racing Point was formed in 2018 when a consortium of investors led by Canadian billionaire Lawrence Stroll rescued Force India from administration. Racing Point is expected to formally announce the deal at its 2019 season launch at the Toronto Motor Show on February 13, where it may also show off some Sportpesa-branded cars. There’s no word as yet on whether Racing Point will be ditching its striking pink livery in favor of Sportpesa’s blue corporate colors. Formula One’s new management, US company Liberty Media, announced last September it was breaking with decades of tradition when it sold the series' global gambling sponsorship rights to London-based marketing agency Interregional Sports Group (ISG) for a rumored minimum of $100 million. ISG is in the process of striking deals with betting companies that will include trackside branding and on screen graphics during televised races. The sport had previously been run for 40 years by British Billionaire Bernie Ecclestone, who refused to allow gambling advertising because he felt it would tarnish Formula One’s glamorous image. Liberty believes Formula One has missed out on hundreds of millions of dollars in sponsorship opportunities under Ecclestone and has made a priority of engaging with new sectors as it seeks to maximize profit for the sport. It also believes enhancing gambling opportunities around auto racing will enhance fan engagement. Formula One is a truly global sports brand and — like EPL and La Liga soccer – will be a valuable platform for gambling companies looking to reach markets where it is difficult to find exposure through other channels, such as Asia. Having conquered Africa, Sportpesa hinted at its global ambitions when it agreed a shirt sponsorship deal with EPL club Everton in 2017. Formula One is not the only major auto racing series waking up to the sponsorship dollars available through gambling industry tie ins. Earlier this week, NASCAR reportedly informed its drivers and teams that partnerships with gambling and sports betting companies were now permitted. NASCAR had previously been accused of being slow to react to the liberalization of the US sports betting laws in the wake of the striking down of the federal ban last May. The post Racing Point Teams Up with Sportpesa in Formula One’s First-Ever Gaming Industry Sponsorship Deal appeared first on Casino.org.